Create an aromatic ambience throughout your home with this large glass jar candle from Village Candles. 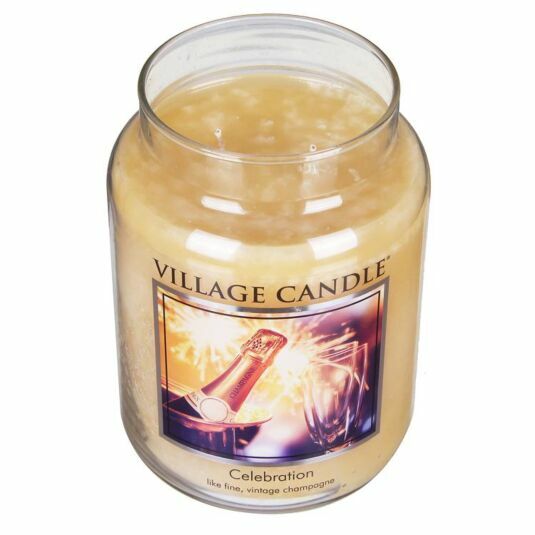 Whether you are celebrating a special occasion or want to congratulate someone on achieving their goals, this blend of fizzed ginger and sweet spun sugar is sharply topped with a hint of refreshing lime, combining to create a fine champagne like fragrance that will leave any room smelling sweet and fresh. This candle features an innovative dual-wick, allowing for each fragrance to burn more evenly, creating less soot and allowing for a brighter glow, leaving any room full of ambient aromas that last for up to 170 hours. This candle would make the ideal gift to give to someone to celebrate an achievement, engagements or even the birth of a child, allowing them to relax in the comfort of a sweet smelling aroma.